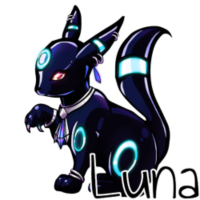 Hi, I've gone by a few names but I prefer Luna. On TE I was known as RaineHeartsong and SilvyrNixe, but now its forever Revaencore. I like potatoes, rusty knives, pokemon, memes, and creative writing. I identify as an attack helicopter, and a trap.